Residents, visitors and the public are urged to pay close attention to the 2018 Atlantic hurricane predictions and to “Be Ready and Stay Ready” come June 1. Forecasters are becoming more confident in releasing predictions on the possible impacts as the 2018 Atlantic Hurricane Season approaches. Considering the devastation caused by the events of 2017, residents are urged to prepare early and remain in a heightened state of readiness throughout the hurricane season. Director of the Department for Disaster Management Ms. Sharleen DaBreo says the DDM is working with a number of organisations and agencies to get the most vulnerable prepared for what might be another record breaking year. Director DaBreo explained that many of the forecasting agencies are calling for another active season including the Global Weather Oscillations, National Oceanic Atmospheric Administration’s (NOAA), AccuWeather and the Colorado State University. The hurricane prediction organisation Global Weather Oscillations (GWO) indicated on January 18 that “2018 will be somewhat of a repeat – but some landfalls will occur in different locations this year”. They have indicated that the season will bring 16 named storms, eight (8) hurricanes and four(4) major hurricanes, two (2) of which will likely be major systems. 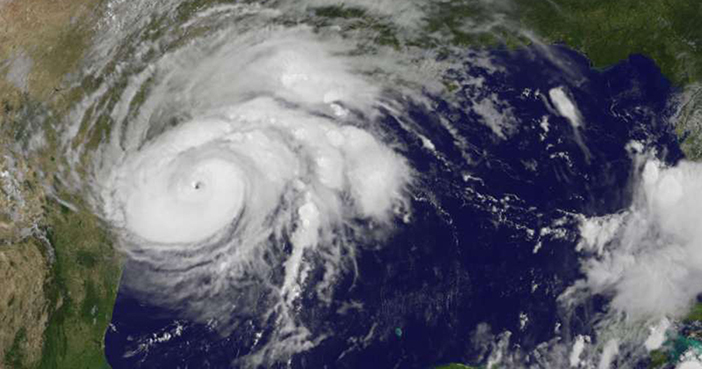 Accu Weather predicted on April 2, that the 2018 hurricane season forecast would be packed with multiple powerful hurricanes. 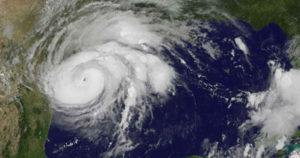 Their forecast calls for 12 to 15 tropical storms and 6 to 8 hurricanes with 3 to 5 of these being major hurricanes. The Colorado State University (CSU) Tropical Meteorology Project (TMP) released their forecast on April 5, signaling that the 2018 Atlantic hurricane season will be slightly above average with 14 named storms and seven (7) hurricanes; three (3) of which will be major hurricanes (Category 3-4-5). The CSU TMP indicated that there is 52 percent chance of at least one major (Category 3-4-5) tracking into the Caribbean. Forecasters indicated that common factors contributed to the similarity in their forecasts; the main one being the ocean water temperatures that continue to run warmer than normal across most of the Atlantic Basin; especially in the Caribbean region. These temperatures are conducive to hurricane formation and strengthening close to the Caribbean. Forecasters also expect the Bermuda-Azores High Pressure Center will again be in a favorable location allowing more named storms to strengthen as they move from east to west across the Atlantic Ocean. With weak El Niño conditions expected, the predictions are calling for an active season. Deputy Director, Dr. Evangeline Inniss-Springer leads the social science elements of the DDM programme and said that the department is pushing information through various media platforms to ensure that persons throughout the can access the preparedness messages. The department will also continue to share information with the public via public service announcements (PSA’s) on radio.